Weeping Willow trees are some of the best trees for wet soil conditions. 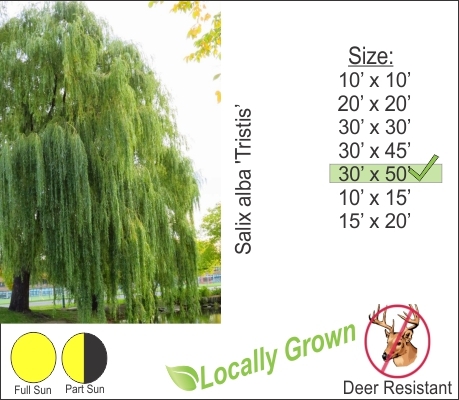 Weeping Willow has graceful arching branches that cascade down and gently touch the water of a pond or creek. This tree does grow large so be sure to give it plenty of room. The root system is strong so keep it away from septic and leeching fields or the tree will clog up your pipes.